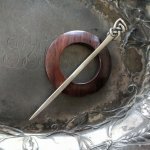 The Celtic Knot Shawl Stick is the knitwear jewelry that accompanies the rosewood disk that makes up the Celtic Knot Shawl Stick. 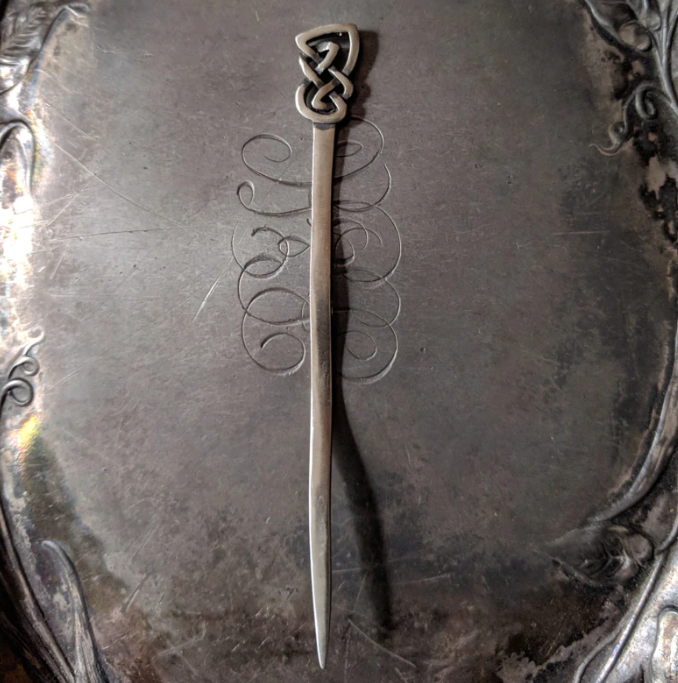 The Celtic Knot stick is light and a small scale, suitable for delicate knits as well as more robust diameters of yarn. It's gorgeous with both bold and delicate stitch patterns, including cables, as well as with color-work. And of course it works for hair.